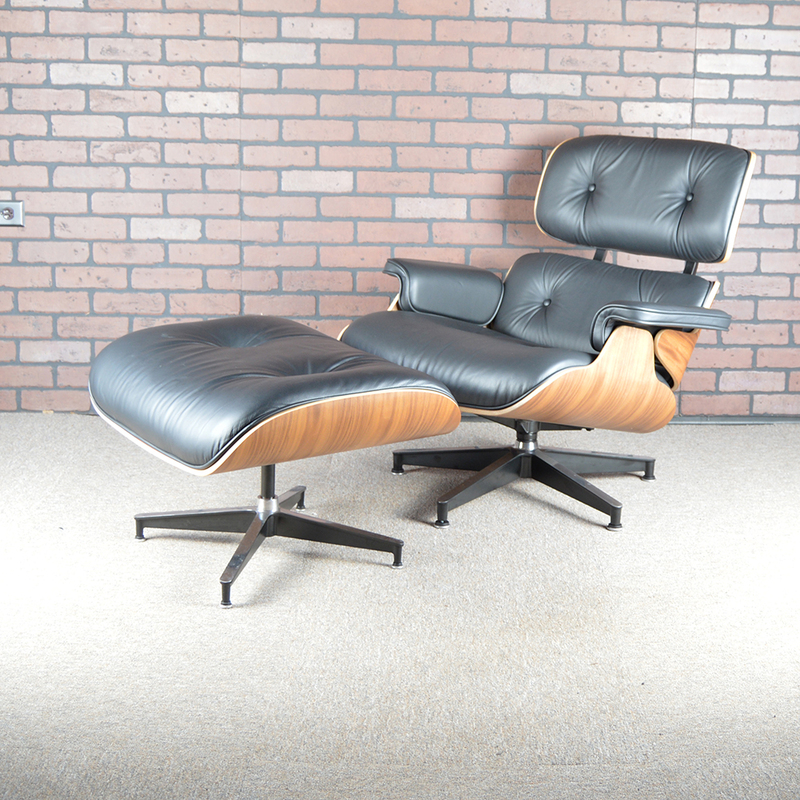 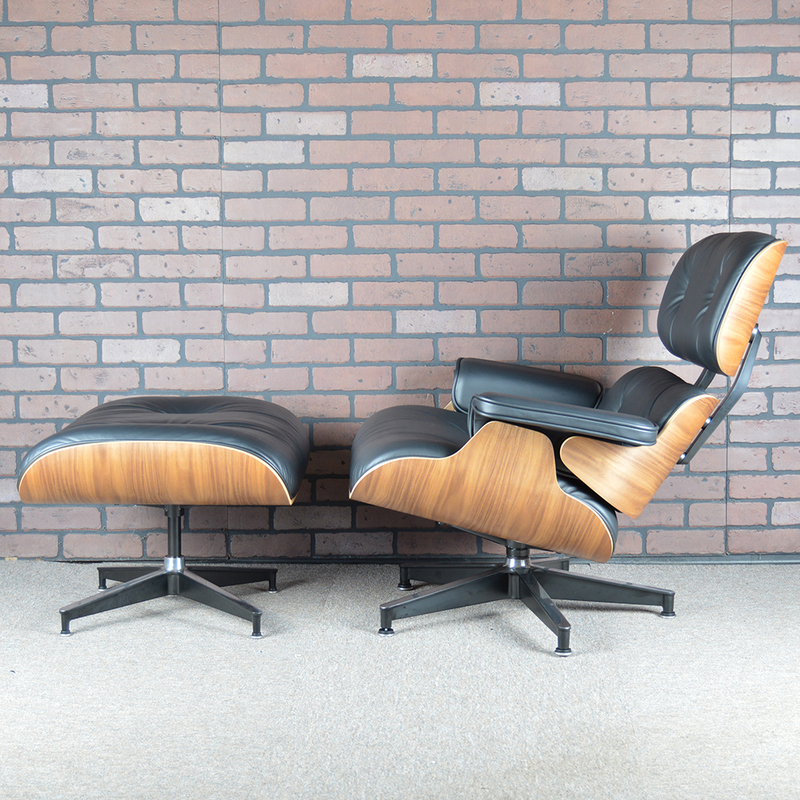 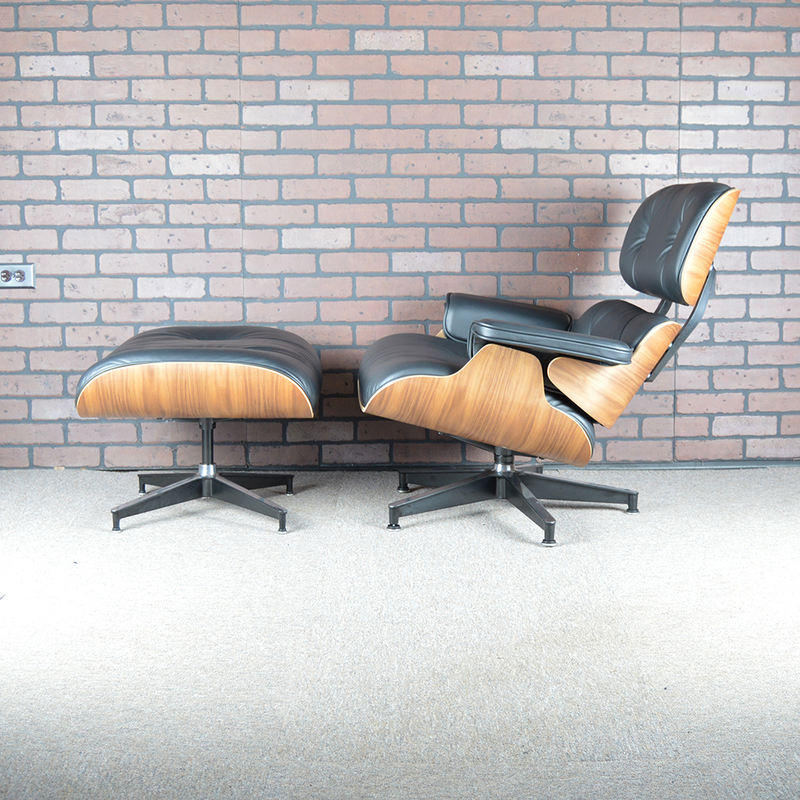 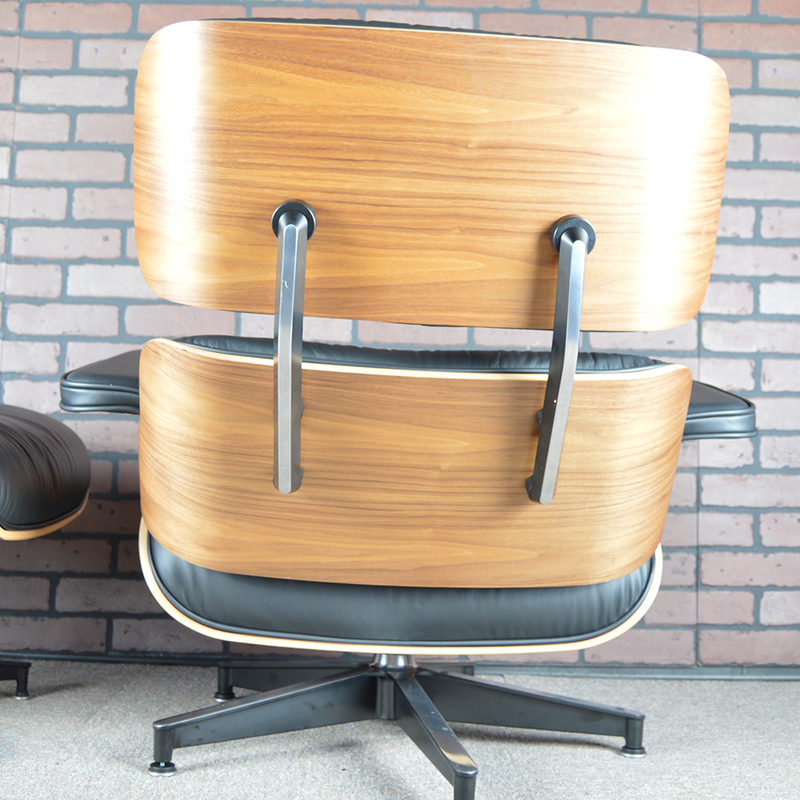 You're looking at a beautiful Eames Lounge Chair and Ottoman Set! 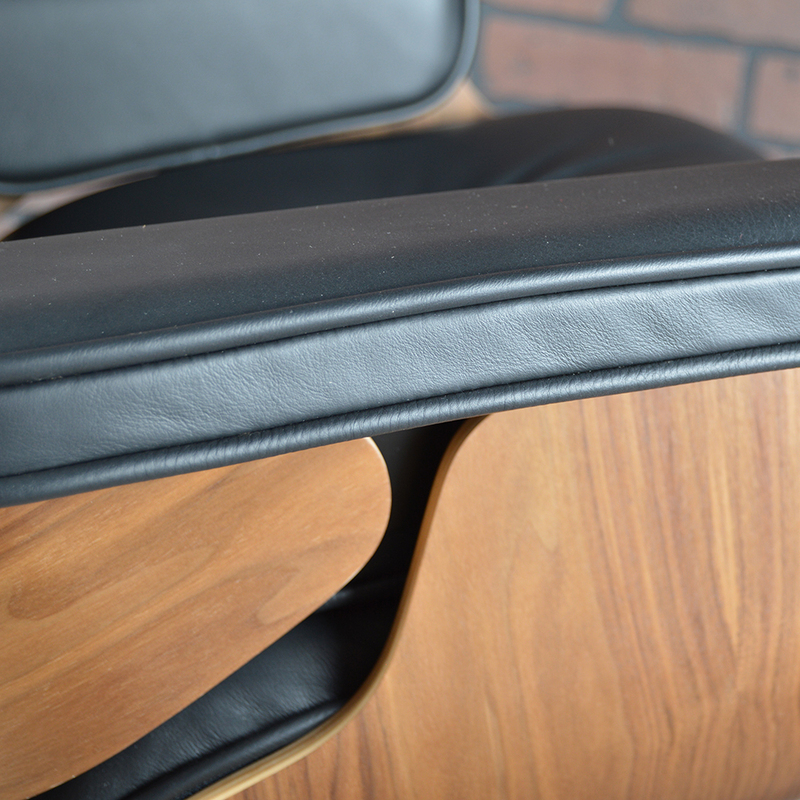 It's covered in soft all grain leather with magnificent walnut panels and matching ottoman. 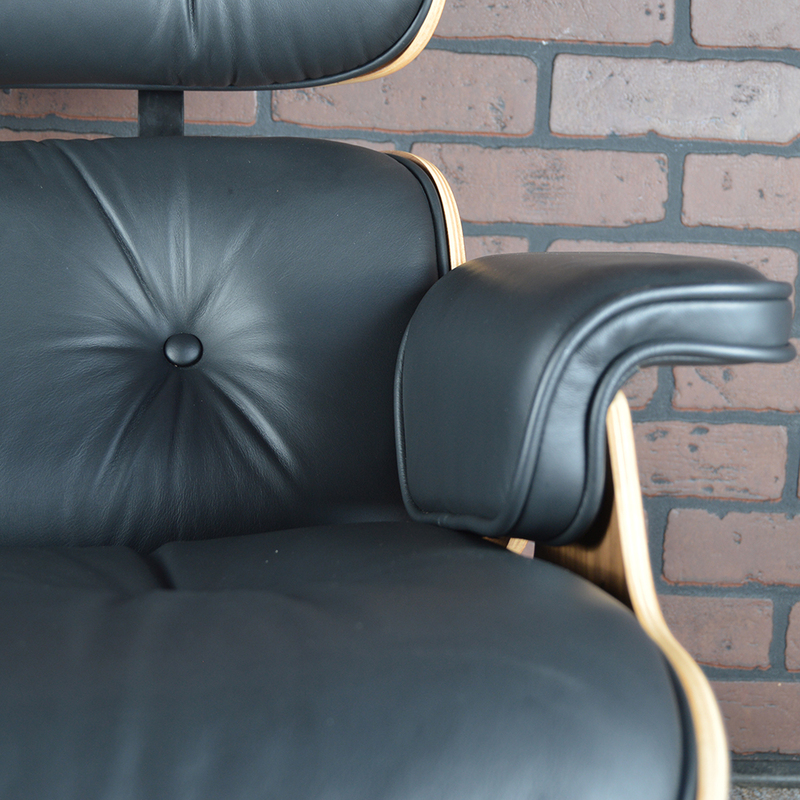 The chair looks to be 'as new' it seems to have barely been used at all. 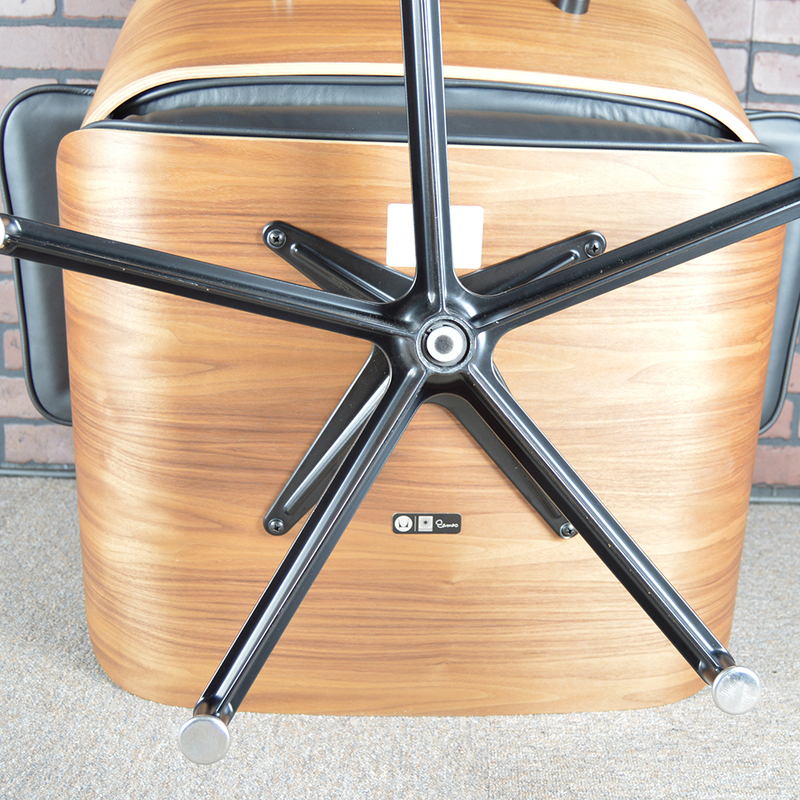 There are no marks that I can see save for a tiny one on the underside of the ottoman. 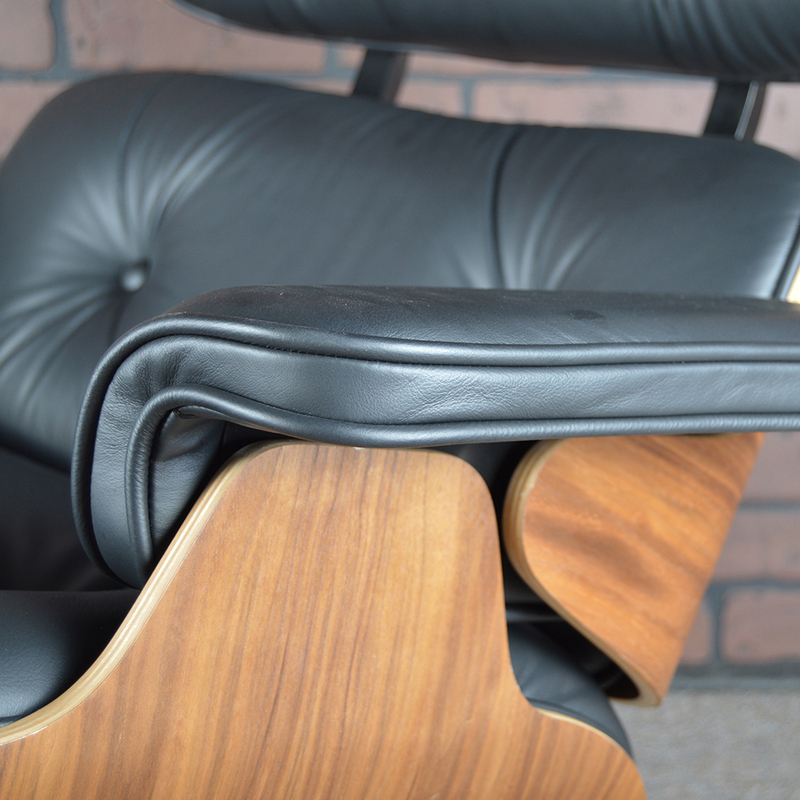 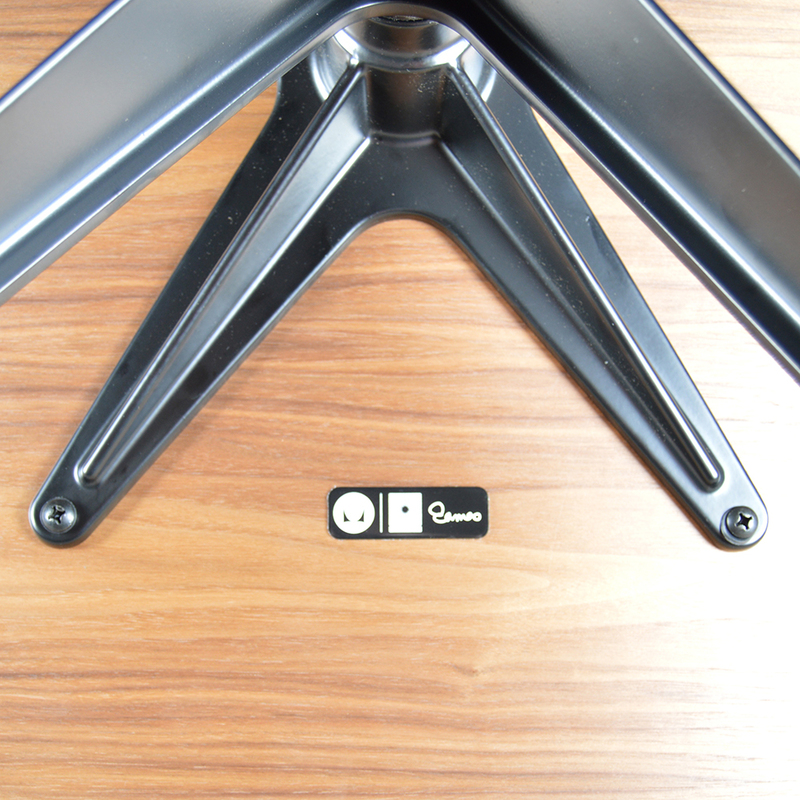 The leather is flawless and the Herman Miller and Eames rounded rectangular labels are present. 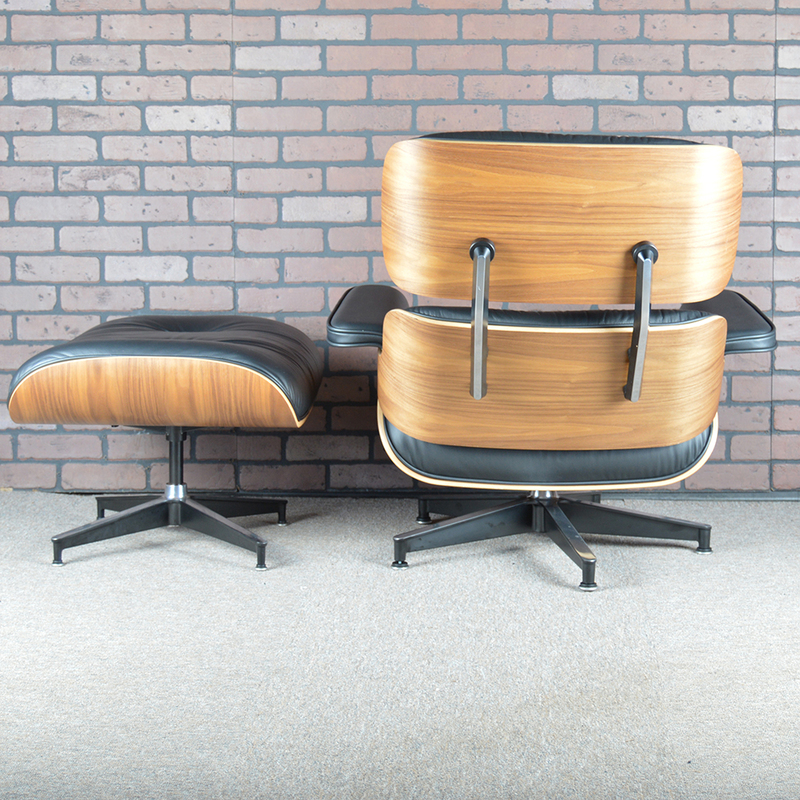 One of these will set you back over $6k on DWR plus shipping and tax, so this one is a relative bargain! 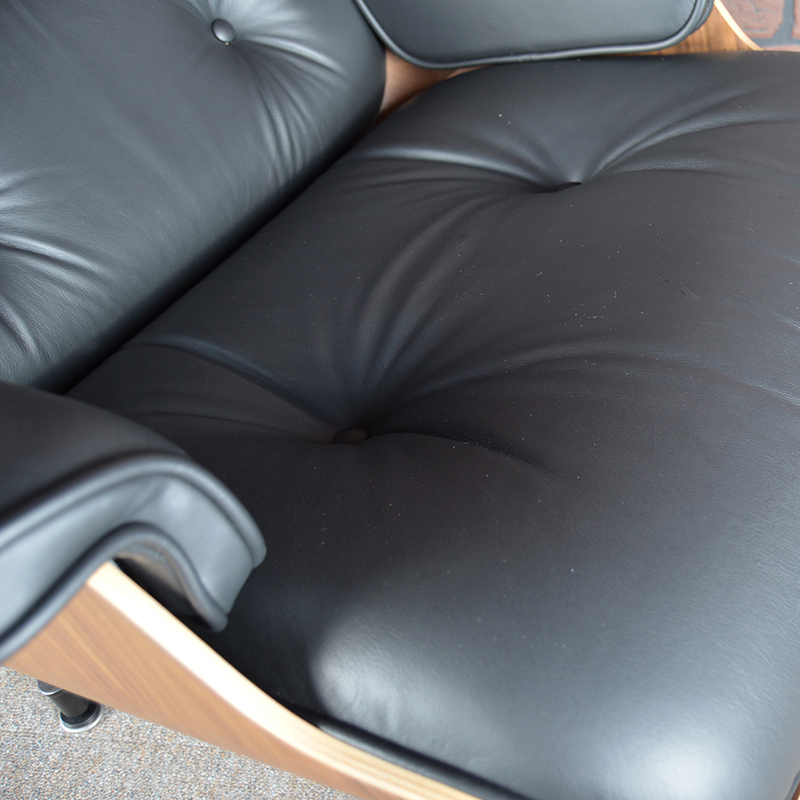 Standard Lounge Chair: H 31.5" W 32.75" D 32.75" Seat H 15"
Standard Ottoman: H 17.25" W 26" D 21.5"